Thread: How to check CPU speed of VPS? I'm using a linux VPS with 8 CPUs, RAM 2GB..for running my php sites but sometime my sites load slowly for 1 or 2 hours. It was affected by CPUs or RAM? also I want to check speed of CPUs, it's possible? Keep in mind also that VPS's can still be oversold and effected by other VPS's on the same physical server. Not yet, how will it show on screen? and is it safe? I have bad experience when I checked storage speed and I must restart my vps, I thought it was broken. Yes, of course it is safe. Here a link to some info about the command. Keep in mind that whatever information CPU wise that is displayed (on a VPS) will not be accurate. A node with 12 cores will have 50-150 VPS utilizing them at any given time, so you cant determine your capabilities by the hardware information, it all depends on how much the host is overselling, and they are, there's no doubt about that. The only way to be sure you have the resources you should us to go with a dedicated server! The BIGGEST thing I want to highlight with this is that your 2GB VPS has access to 8 CPU cores, which is a clear and visible sign that your provider is overselling. 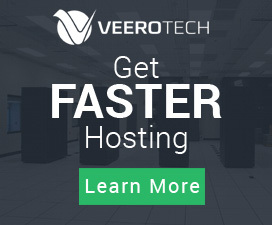 Most VPS providers utilize hardware such as the Intel E3 CPU which will normally have 4 physical and another 4 threads. Jumping onwards, sure you may be able to find a provider boasting those E5 20-Core CPUs however cost would be through the roof and even still you aren't truly dedicated resources. How much are you paying right now for you VPS? Which type of CPUs is popular now? It should be come from Intel? 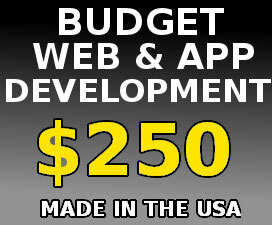 Our company's paying 1 VPS $92 monthly and 3 shared hosting packages for smaller websites. With a VPS it's not exactly the CPU that should be of concern, expecially if it's an Intel E3-1270v3 or later. RAM would be the big killer, and anything 2GB or less is considered low-end. You would be very surprised, CPU is not the issue with new architecture. Some companies will put 40-50 VPS on a Quad Core E3, so long as it has a good amount of RAM. Hence why I find the VPS market to be one that customers need to be very careful when entering. This seems exact but it is more to check number of CPUs and its specs. Here is the result I tried to run it on a dedicated server 16 CPU, it gave a long result though. Promoting affiliate programs or your own products? Other ways to build backlinks instead of Ezine Articles? Autoplay video on opt in page? Is that a good idea? how to build an affiliate page on my blog?